Ground beef is rarely cooked without seasoning in Morocco, even when shaping kefta into large patties to serve as hamburgers. 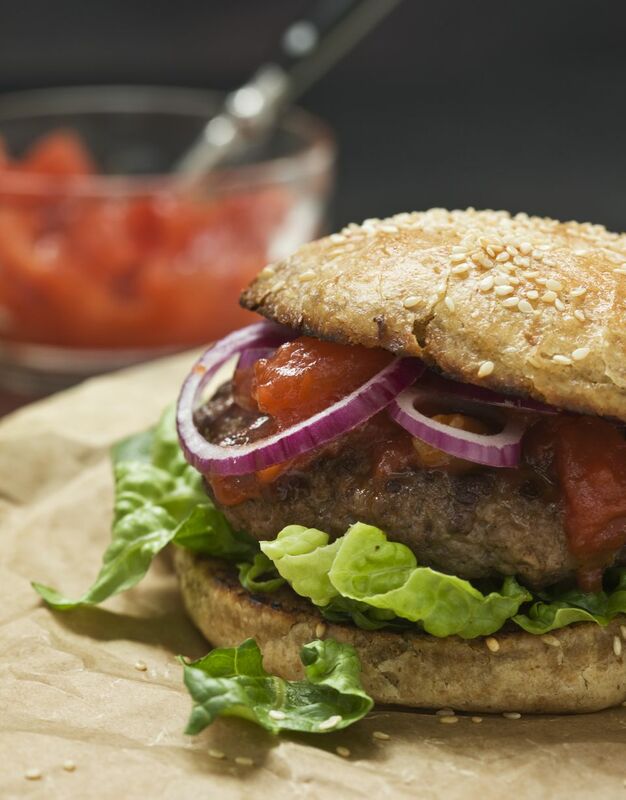 The addition of Moroccan spices and herbs to the meat helps elevate a routine hamburger into a memorable meal. Grilling the meat will add even more flavor. The recipe below reflects my preference for reducing standard kefta seasoning by about half when serving hamburgers with American toppings on soft rolls. If you'd like to try more intense Moroccan seasoning, follow the Kefta Kebabs Recipe and shape the meat into patties. For best flavor, allow time for the seasoned hamburger mix to rest before cooking. It can be prepared a day in advance. Mix all the ingredients together, kneading the mixture for a minute or two to evenly distribute the spices and herbs. Cover and leave the seasoned ground beef to rest for an hour or longer before cooking.